By Keith Cowing on April 30, 2016 8:53 PM. "It is more the politics of pork than the politics of progress," former NASA deputy administrator Lori Garver told BuzzFeed News. "There's a long-time pattern at NASA where money aimed at science and research ends up with builders and contractors instead." ... "The point is to spend money and create jobs the way the Soviet Union did on its rocket design bureaus," Keith Cowing of NASA Watch told BuzzFeed News. The SLS "a rocket to nowhere," as Cowing put it fits this pattern neatly because it provides thousands of jobs in space states. No one knows where it will go. Maybe to an asteroid (the Obama administration's unloved notion), or to circle the moon, or boost astronauts on their way to Mars." "The SLS and Orion are strategic national assets and have to be sufficiently funded to lead the race back to the Moon and to Mars. As Chairman of the Science, Space, and Technology Subcommittee, Congressman Babin is leading this fight for adequate funding of these programs. This will have a direct effect on his district in terms of lowering unemployment rates, inspiring young children, and increases economic competitiveness. It would also affect the entire nation by expanding international relations and advances national security interests." "SEC. 304. UTILIZATION OF EXISTING WORKFORCE AND ASSETS IN DEVELOPMENT OF SPACE LAUNCH SYSTEM AND MULTI- PURPOSE CREW VEHICLE. (a) IN GENERAL.In developing the Space Launch System pursuant to section 302 and the multi-purpose crew vehicle pursu- ant to section 303, the Administrator shall, to the extent practicable utilize (1) existing contracts, investments, workforce, industrial base, and capabilities from the Space Shuttle and Orion and Ares 1 projects, including ... (B) Space Shuttle-derived components and Ares 1 components that use existing United States propulsion systems, including liquid fuel engines, external tank or tank-related capability, and solid rocket motor engines; and (2) associated testing facilities, either in being or under construction as of the date of enactment of this Act." By Keith Cowing on April 30, 2016 12:28 AM. "blurable" by NASA and others by Boeing? Newsflash: Space.com has unblurred photos of the control panels. The Washington Post photo is not blurred. Neither is the photo in the Christian Science Monitor. Quick: throw these scoundrels in jail. 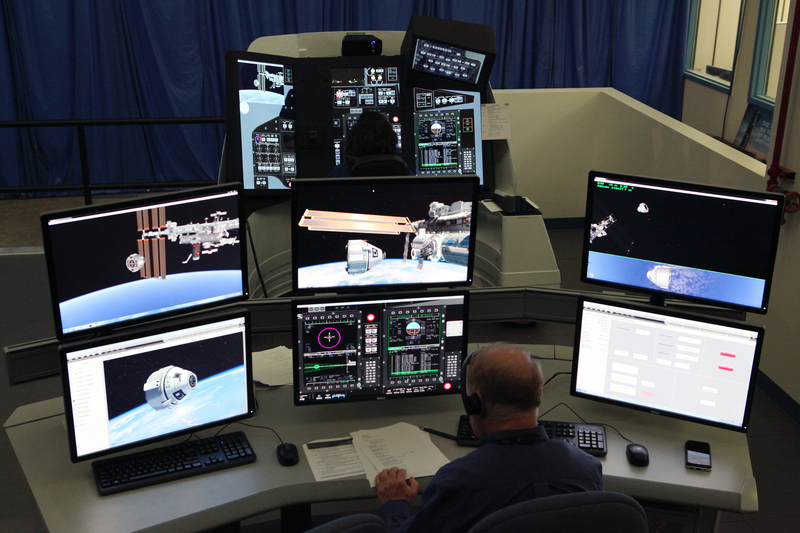 But wait: If you go to this NASA KSC Flickr image you can see it is not blurred on the simulator or the instructor's screen. There many other photos on the Flickr page that have not been blurred. 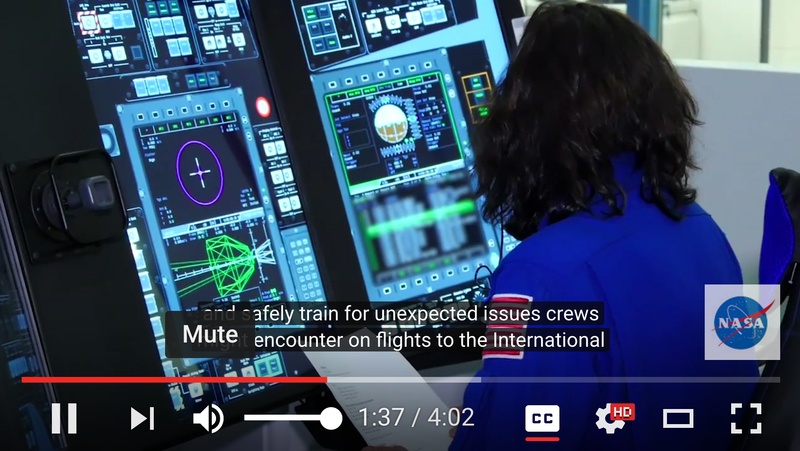 So why blur it in a Youtube video, NASA/Boeing? If there are reasons to blur something (proprietary/security) then fine. But shouldn't the things that are blurred/not blurred be handled the same way in all images not one way or another - or yet another - depending on which image you are looking at? If there is something that should not be made public then clearly not everyone is on the same page as to what it is. What is really funny is that you cannot read the words on the unblurred screens - the ones with diagrams which are much more revealing. The screen that is blurred is simply lines of text. Go figure. 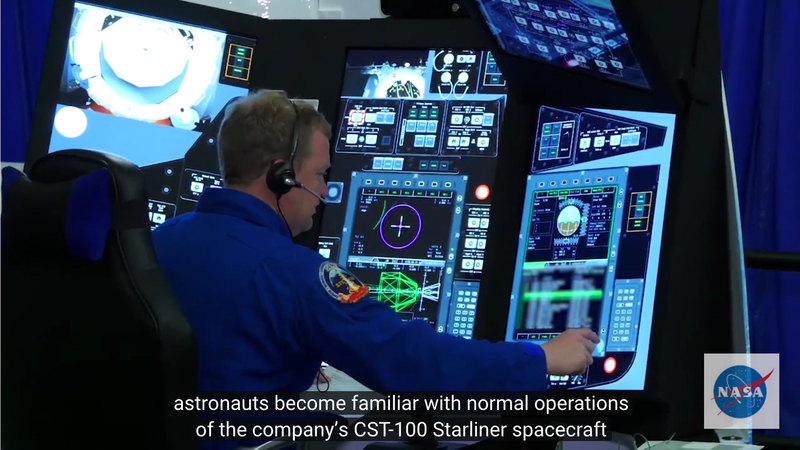 (sigh) This is what the inside of the CST-100 really looks like. Not sure why NASA and Boeing are afraid to show people. Lots of blinking lights, etc. By Keith Cowing on April 29, 2016 12:00 AM. "42:20: Q: When are we going to get to Mars? What is the time line? Bolden: "2030s. As I said before the was no plan. And some people today contest our plan - but we have one. And a plan needs to at least have a definite date in which you're gonna do something. Because the President said so, for one thing." Keith's note: OK Charlie. You have a plan to send humans to Mars? Post your plan online. Oh wait: you can't - because there is no plan. "No one with even a shred of fiscal accumen will tell you that a multi-decade program to send humans to Mars - as is typically done by NASA (delays, overruns, and PR hype) - is going to be done "within current budget levels, with modest increases aligned to economic growth." This is just back peddling NASA PR mumbo jumbo designed to try and make it seem that Lightfoot said something other than what he actually said." By Keith Cowing on April 28, 2016 10:28 PM. "In September Elon Musk is going to reveal his plans for colonizing Mars. "NASA is cutting funding for a Mars landing technology demonstration project by about 85 percent in response to budget reductions to its space technology program and the need to set aside funding within that program for a satellite servicing effort. In a presentation to a joint meeting of the National Academies' Aeronautics and Space Engineering Board and Space Studies Board here April 26, James Reuter, NASA deputy associate administrator for space technology, said the Low Density Supersonic Decelerator (LDSD) project would get only a small fraction of its originally planned budget of $20 million for 2016." "The purpose of this Amendment No. 1 to Space Act Agreement No. SAA-QA-14-18883 between the National Aeronautics and Space Administration ("NASA") and Space Explorations Technologies Corp. ("Partner" or "SpaceX"), effective December 18,2014 (the "Agreement"), is to (1) further define areas of insight and assistance to SpaceX under the Agreement, (2) further define areas in which NASA will have access to and use of SpaceX data and technology to advance NASA's understanding of the development of SpaceX's propulsive descent capabilities and enable NASA's own Mission to Mars, and (3) extend the period of performance under the Agreement." Keith's note: Wow, how odd that this all happened at exactly the same time. It is probably just a coincidence, right? With near-perfect simultaneity we learn that NASA has decided to cut funding for new technology needed to develop systems to land large payloads (you know, human-related stuff) on Mars. As this news was making the rounds, SpaceX announced that it is sending its own mission to the surface of Mars. If you read the opening section of the Space Act Agreement between NASA and SpaceX (signed 25/26 April, announced 27 April 2016) it is clear that NASA will be obtaining information from SpaceX while (maybe) providing some sort of unspecified assistance. To be certain, NASA has the world's pre-eminent expertise in landing things - big things - on Mars. But in the end, the bulk of the data flow is going to be from SpaceX to NASA - and SpaceX will be doing the vast bulk of the technology trailblazing - and all of the funding. Continue reading Changing The Way We Explore Space. By Keith Cowing on April 28, 2016 12:02 PM. "The House Armed Services Committee voted Thursday morning to double the allowed purchase of Russian-made rocket engines from nine to 18, despite a desire to develop an American-made alternative. The committee adopted the amendment, by Rep. Mike Coffman (R-Colo.), by voice vote, after vigorous debate that did not fall along party lines. The Air Force relies on United Launch Alliance -- a Lockheed and Boeing joint venture -- for its sensitive national security space launches, which uses a launch vehicle reliant on the RD-180 engines." "ULA has since tried to lower its launch costs, shedding workers and re-engineering its processes to be able offer launches below $100 million. The 3,700-employee company is offering early retirement and employee buyouts this year and in 2017 in an effort to trim down to about 3,000 employees at its five locations nationwide." By Keith Cowing on April 27, 2016 10:19 PM. "Russian president Vladimir Putin has warned workers at the country's botched spaceport they will be jailed after he flew thousands of miles to watch the inaugural rocket launch for it to be cancelled at the last minute." "Russia's President Vladimir Putin says those responsible for crimes during the construction of the Vostochny Cosmodrome won't escape responsibility if their guilt is proven, and will swap house arrest for prison bunks. "Six criminal cases had to be launched, in which four people were arrested. Two of them, however, are under house arrest, while the other two are in pre-trial detention," Putin is cited as saying by Interfax." By Keith Cowing on April 27, 2016 11:56 AM. "SpaceX announced today that it is going to start sending specially modified Dragon spacecraft aka "Red Dragon" to Mars as early as 2018. The purpose of these missions is to demonstrate the technologies needed to land large payloads propulsively on Mars. These Mars missions will also be pathfinders for the much larger SpaceX Mars colonization architecture that will be announced in September 2016. With this announcement SpaceX has upped the ante for the human exploration of Mars by beginning technology pathfinder missions a decade or more before NASA plans to do so." "When he laid out his plans for NASA and the Journey to Mars in 2010, President Obama spoke of how partnership with industry could have the potential to "accelerate the pace of innovations as companies - from young startups to established leaders - compete to design and build and launch new means of carrying people and materials out of our atmosphere." This is exactly what's happening and it's one of the reasons that we're closer to sending humans to Mars than ever before." Keith's note: Oddly, just yesterday, NASA Administrator Bolden referred to Falcon 9 as "old technology" when asked why NASA was building SLS. 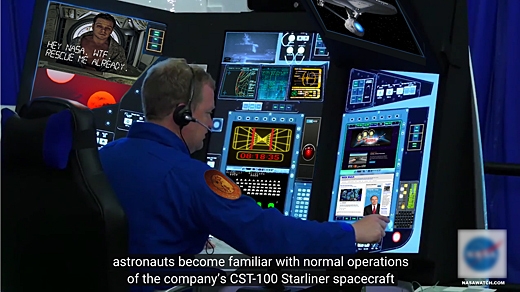 Well, SLS, using decades-old technology, was created to send humans on NASA's #JourneyToMars. Yet those NASA missions won't start sending hardware to Mars until the late 2020s / early 2030s. Meanwhile SpaceX, with its "old technology" will beat NASA by a decade or more when it starts landing Red Dragons on Mars. By Keith Cowing on April 26, 2016 9:26 PM. "The bottom line is that we in the space community can't have it both ways. We can't take the public's money, but then not allow the leaders they elect to have any say about NASA's direction. While the multi-year process of getting both ends of Pennsylvania Avenue to agree on NASA programs and budgets may be frustrating, that is the "price" we pay for spending public tax dollars. These inherent challenges are part of why I believe we should do everything possible to incentivize the private sector to do more. ... If we follow the path many have suggested and limit the influence of future presidents over NASA and its leadership, we are likely to see less support for the agency, not more. It would also embolden those who want less of a sustainable strategic space program in favor of parochial pet projects. NASA stands to benefit greatly from the energy of a new presidency and should be preparing to welcome the transition team with open arms and open books." Keith's note: In this Op Ed Garver talks about her transition Team experiences in 2008 and how NASA was less than forthcoming with information about the status Constellation - specifically Ares V. I wonder what will await the next transition team when it comes time for them to hear the SLS briefing. Sticker shock? Buyer's remorse? Another large rocket termination? Yet another blue ribbon panel? By Keith Cowing on April 26, 2016 1:02 PM. Keith's note: I am not sure what to make of this comment by Charlie Bolden. Either he is very confused or someone is giving him really stupid talking points. Let's see, where do I start: how "old" is SLS technology? The Solid Rocket Boosters SLS uses are stretched and improved versions of the same design that Space Shuttles flew beginning in 1981 - but were designed in the 1970s (source). Oh, and SLS uses re-flown Space Shuttle Main Engines (RS-25) which were also designed in the 1970s (source). And, FWIW Bolden flew these vehicles multiple times in the 80s. SpaceX vehicles and engines were designed in the 21st century, use advanced manufacturing technology and require an ever-shrinking number of people to launch. Instead of re-using the reusable SSMEs on SLS, NASA will throw them away whereas SpaceX can use their first stages over and over and over again - after they wash the soot off the rocket, that is. Board member: why is NASA developing SLS when SpaceX has heavy-lift plans? Boldne counters that SpaceX's Falcon 9 uses "old technology." By Marc Boucher on April 26, 2016 8:52 AM. Marc's note: Of note, Vector announced today it has received its first rounding of funding, $1M from angel investors who weren't disclosed. Competition comparisons include Rocket Labs and FireFly, though Vector says their launch vehicle is cheaper starting at $2M with their primary market being under 50kg. There's definitely a need for a dedicated microsatellite launcher. Launch sites they plan to use include Kodiak and Cape Canaveral. Yet another potential customer for KSC. By Keith Cowing on April 26, 2016 12:56 AM. "The NASA lab responsible for building the Mars rovers and robotic probes to scout the solar system has begun using an open-source cloud platform to house its mission-critical data. NASA's Jet Propulsion Lab has retooled its existing hardware to support a Red Hat OpenStack cloud platform that will manage new flight projects, centralize research and reduce the need to keep funding legacy systems, according to Red Hat." "The good news is that OpenStack is starting with code contributions from two organizations that know how to build and run massively scalable clouds Rackspace and NASA. Rackspace has been in the cloud business for four years and now serves tens of thousands of customers on its cloud platform. Likewise, NASA began building their Nebula cloud platform two years ago to meet the needs of their scientific community." "NASA's prestige and participation has been a selling point for advocates of the OpenStack open source cloud project, which NASA co-founded with San Antonio infrastructure-as-a-service provider RackSpace. Unfortunately, they'll have to get along without NASA from here on. NASA has withdrawn as an active contributor to OpenStack, saying it doesn't want to be in the business of producing cloud software anymore. Ray O'Brien, acting CIO at NASA Ames, when asked May 30 by InformationWeek about NASA's participation, used diplomatic language to say that NASA still endorsed the project, was proud of its founding role, and might be a user of OpenStack components in the future. "It is very possible that NASA could leverage OpenStack as a customer in the future," he wrote in his email response." By Keith Cowing on April 26, 2016 12:09 AM. "A primary argument of the launch companies is that lifting the ban on the PSLV will enable vehicles subsidized by foreign governments to compete against American industry. The Antrix Corporation is mainly an administrative agent of the Indian Space Research Organisation (ISRO), India's national space agency. ISRO provides the technical operations supporting Antrix's commercial launches. The PSLV was developed as an ISRO program, and the profits made off commercial launch feeds back into India's space budget. This does constitute government subsidy of the Indian launch market; in contrast, the American companies developing small launch vehicles have done so largely through private investment, with NASA purchasing their services through fixed-price contracts. Of course, those issuing counter-arguments to the preservation of the ban note that the United States does not hold such bans against the use of equivalent and similarly-subsidized Russian, European, or Japanese launch vehicles, such as the Dnepr, Vega, and Epsilon. According to the FAA Compendium of Commercial Space Transportation, the Dnepr is a medium-class vehicle used for multimanifested launches of small satellites at prices of around $29 million. The Epsilon is specifically suited for small payloads at launch prices starting at $39 million. The Vega is a small-class vehicle launching at prices also of $39 million." By Keith Cowing on April 25, 2016 11:16 PM. "The proposed restrictions essentially would forbid the Air Force from funding several recently announced co-investment deals with Orbital ATK, SpaceX and United Launch Alliance beyond this year. The Air Force doled out $317 million worth of contracts to help fund Orbital ATK's development of a new solid-fueled launcher, SpaceX's development a new upper-stage engine, and ULA's development of Vulcan, a potentially reusable successor to the RD-180 powered Atlas 5 rocket." "Dan Gouré is vice president of the Lexington Institute, an Arlington, Va-based think tank that receives money from Aerojet Rocketdyne, Boeing and Lockheed Martin. ... Let's tally up the Air Force's recent moves. First, it insists it must depend on Russian rocket engines for at least another six years. Then it wants to take the high risk approach of launching important national security payloads aboard either the SpaceX system that has never been tried in such a mode or a new launch vehicle using a novel propulsion system. Finally, it wants to devastate what little remains of the U.S. rocket motor industrial base by selling off its stash of surplus Minuteman boosters." By Keith Cowing on April 25, 2016 9:04 PM. "In other words, Mikulski gets a nice Earth-observing project for her backyard, wholly unrelated to human spaceflight, and agrees to whatever budget increases for SLS that the chairman of the Appropriations subcommittee over space, Sen. Richard Shelby (R-Ala.), wants. 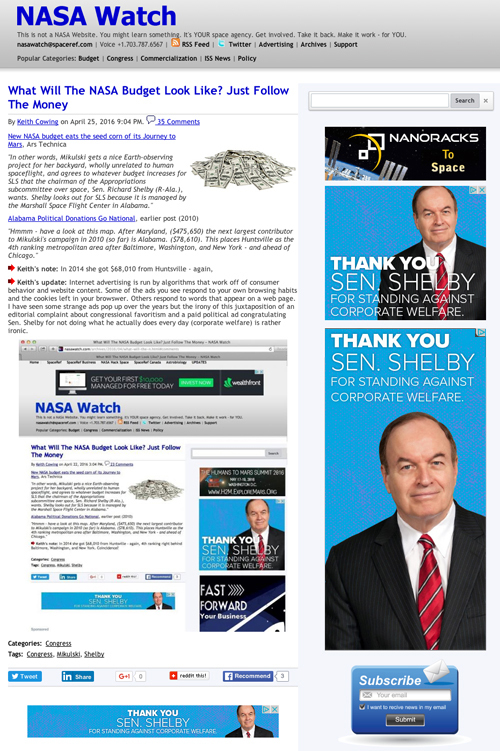 Shelby looks out for SLS because it is managed by the Marshall Space Flight Center in Alabama." "Hmmm - have a look at this map. After Maryland, ($475,650) the next largest contributor to Mikulski's campaign in 2010 (so far) is Alabama. ($78,610). This places Huntsville as the 4th ranking metropolitan area after Baltimore, Washington, and New York - and ahead of Chicago." Keith's note: In 2014 she got $68,010 from Huntsville - again, right after Baltimore, Washington, and New York. Coincidence? Keith's update: Internet advertising is run by algorithms that work off of consumer behavior and website content. Some of the ads you see respond to your own browsing habits and the cookies left in your browser. Others respond to words that appear on a web page. I have seen some strange things pop up over the years but the irony of this juxtaposition of a complaint about congressional favoritism and a paid political ad congratulating Sen. Shelby for not doing what he actually does every day (corporate welfare) is rather ironic. And then when I posted this screen grab (below) and went back to view NASAWatch the ad appeared yet again (second screen grab). By Keith Cowing on April 22, 2016 2:48 PM. "This week, the US Senate's Appropriations subcommittee overseeing spaceflight put forward its blueprint for NASA's FY2017 budget. The top-line number looks promising at $19.306 billion - a $21 million year-over-year increase. 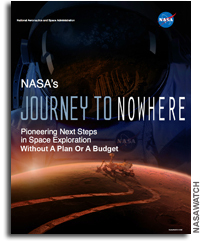 Yet the Senate plan exposes two potentially fatal flaws with NASA's Journey to Mars. Namely, the US Congress continues to place funding for the Space Launch System rocket and Orion space capsule before all other elements of NASA's exploration program. And by raiding other areas of NASA's budget, notably Space Technology, it is hamstringing the agency's ability to carry out the journey." By Keith Cowing on April 22, 2016 2:10 PM. By Keith Cowing on April 22, 2016 8:14 AM. "NASA displays its budget request as the combination of the three -- $19.025 billion -- and breaks down the request for individual accounts like science, aeronautics, and space technology accordingly. The $100 million from the oil company tax was designated entirely for aeronautics, for example, so NASA's budget chart shows the aeronautics request as $790.4 million, a sharp increase from the $640 million appropriated for the current year. Congress summarily rejected the Administration's notion of taxing the oil companies, however, and appropriations committees have no authority over mandatory spending. From the Senate Appropriations Committee's standpoint, therefore, the request was $18.262 billion. Throughout its report, the committee compares what it approved to that figure, not to the $19.025 billion that NASA displays. It therefore is very important to exercise care when reading the committee's report because it may say that it provided more or less than "the request," but that may not be obvious looking at NASA's budget presentation." By Keith Cowing on April 21, 2016 10:07 PM. "Morning breaks for astronauts and cosmonauts aboard the International Space Station. SpaceX's Dragon spacecraft sits on the left side of frame, attached to the Earth-facing port of the Harmony module. Taken 17 April 2016. ISS047e066509 (04/17/2016) larger image"
By Keith Cowing on April 21, 2016 9:27 AM. - NOTE: Webcast will be audio-only. By Keith Cowing on April 19, 2016 9:02 PM. 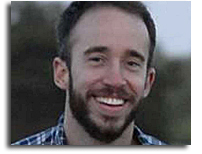 "Mr. Ryan worked as an aerospace engineer for the Army Ballistic Agency. He worked on Redstone, Jupiter, and Pershing missiles and then the Explorer, JUNO satellites and the Saturn I Launch system. In 1960 the Von Braun team was transferred to NASA, and he started working on the Apollo program where he served as chief of the Dynamic Analysis Branch for Marshall Space Flight Center (MSFC). He has served in various management and leadership positions for MSFC as Branch Chief, Division Chief of Structural Dynamics, and retired as Deputy Director of the System Dynamics Laboratory. He worked on Saturn V Apollo, Skylab, Hubble Space Telescope, HEAO, Space Shuttle, AXAF, X-33, Spacelab, and numerous scientific payloads." By Keith Cowing on April 19, 2016 5:57 PM. "The Senate Appropriations Subcommittee on Commerce, Justice, Science and Related Agencies today approved a $56.3 billion spending bill to support national security, law enforcement and American scientific innovation. ... National Aeronautics and Space Administration (NASA) - $19.3 billion for NASA, $21 million over the FY2016 enacted level and $1 billion above the FY2017 NASA budget request, to support the human and robotic exploration of space, fund science missions that enhance the understanding of the Earth, the solar system, and the universe, and support fundamental aeronautics research. This includes: ..."
By Keith Cowing on April 19, 2016 2:21 PM. "Orbital ATK wants to unearth the dormant missiles and repurpose them to launch commercial satellites into orbit. Russia has released its Soviet-era ICBMs into the commercial market, the company argues, so the Pentagon should be allowed to sell its unused ICBMs as well. But to do that, Congress would have to ease a 20-year-old restriction that prohibits the sale of the missile motors for commercial use. And that has touched off a rancorous battle that has extended from the Pentagon to Capitol Hill, where Congress is scheduled to hold a hearing on the issue Tuesday." "Those in favor of allowing excess ICBMs to be used for commercial launch services argue that many U.S. small satellites have launched on Russian DNEPR vehicles, derived from Russian ICBMs, and that by modifying existing U.S. policy, U.S. launch services could compete with Russia and bring this business back to America. Those in favor also argue that there is a cost to the taxpayer associated with storing excess ICBMs. By allowing the U.S. commercial launch industry to use excess ICBMs, you not only lower the tax burden, but also create potential revenue derived from the sale of these motors. However, those that oppose the policy change raise legitimate concerns that allowing excess ICBMs to be used for commercial launch purposes could distort the market in the United States, undermine future investment, and delay innovations that are on the horizon." "we do not want to see US satellites go overseas" & is against Indian LVs but Russia China Europe LVs are OK.
@SpaceFoundation gets support from @OrbitalATK whereas @csf_spaceflight does not. What you are seeing at this hearing on using ICBMs as launchers is the old DC saying "where you stand depends on where you sit". By Keith Cowing on April 18, 2016 10:39 AM. "Contrary to the estimates you provided to me in private, I am left to conclude that your decision to publicly cite a figure as high as $5 billion was done so to obfuscate efforts to responsibly transition off of the RD-180 before the end of the decade," writes Chairman McCain. "I invite you to clarify the record in the context of proposals actually being considered by the committee While you chose to selectively omit the [Department of Defense Office of Cost Assessment and Program Evaluation (CAPE)] assessment in your response, we have since been briefed by the CAPE and have been provided with compelling analysis demonstrating cost implications that are starkly different from what you stated in your testimony. In fact, according to CAPE, the cost of meeting assured access to space requirements without the use of Russian rocket engines could be similar to what we pay today." By Keith Cowing on April 15, 2016 3:28 PM. "Especially eye-opening, the Suffredini oral history where he says his greatest challenge was taking $3.5 billion from research and technology (Code U, C and T budgets?) to put into hardware development. This and its effects is confirmed by Julie Robinson (Chief Scientist) and Mike Read (National Lab Manager) in their histories (was the change of funding use authorized?) Or Mike Read's history, where he was put in charge of payload integration, national lab and commercialization but without what he felt was the requisite experience or knowledge (both areas that have been suffering from lack of experience. Or John Charles, Chief Scientist for the 1 year mission, in his interview where he told the program manager, prior to the beginning of the one year mission, that ISS needed to get its house in order in terms of how they integrate payloads and science because the effort was totally disjointed. Gerstenmaier earlier pulled all funds for "lessons learned" beginning FY2014. There apparently is no interest in learning what is happening and why we wind up in the sort of shape we are in." By Keith Cowing on April 15, 2016 10:58 AM. "There are two other means by which SpaceX poses an imminent threat to Roscosmos. The first is the impact it is having on United Launch Alliance (ULA), the immediate U.S. competitor to SpaceX. ULA currently buys Russian-made engines for its Atlas V rocket, but SpaceX's success may cause it to rethink. Without sales to ULA, Roscosmos' engine-making subsidiary, Energomash, will lose its main customer. An even greater impact is expected when SpaceX begins flying NASA astronauts to the International Space Station in the next two to three years. Since the U.S. space shuttles were retired in 2011, Roscosmos charged NASA $70 million for each seat. Musk promises to undercut that significantly, charging around $20 million on his "Dragon" spacecraft. Considering that Roscosmos is expecting an annual budget of $2 billion over the next decade, the loss of an $500 million annual subsidy is significant." "United Launch Alliance plans to cut up to 875 jobs, or about one-quarter of its workforce, before the end of 2017 to better compete against rivals bankrolled by billionaire entrepreneurs including Elon Musk and Jeff Bezos, ULA's chief executive said on Thursday. ULA, a partnership of Lockheed Martin Corp and Boeing Co, expects a first round of 375 job cuts to be accomplished this year, mostly through voluntary layoffs. In an interview with Reuters, ULA CEO Tory Bruno said another 400 to 500 employees would be cut by the end of 2017. "We're in the process of transforming our company," Bruno said." By Keith Cowing on April 14, 2016 2:17 PM. "He was really excited about his life and the work he was doing," his mother, Patricia Tezzas, recalled of their phone conversation. "He was going to go camping next weekend." Bole got his Ph.D. in electrical engineering from Georgia Tech before moving to California in 2011 for an internship with NASA, his family said. He was eventually hired as a contractor for NASA's Ames Research Center on the Peninsula, and within the last year started working at the Armus job. 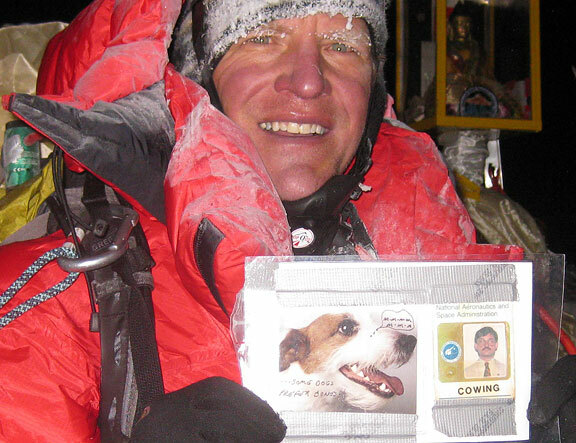 His family remembered him as an avid traveler, science fiction reader and biker." By Keith Cowing on April 14, 2016 12:03 AM. "I believe these two statements are actually at odds with each other. Consensus for human spaceflight is very difficult, given the lack of an external authority to unite the community or even being able to clearly define what the human spaceflight community actually is. And given the current nature of partisanship in the United States, achieving consensus for the human spaceflight program might actually be undermined by strong actions of a President attempting to provide clarity to NASA. ... But for a Journey to Mars - a major effort that would, at best, require stability and significant funding over many Presidential administrations that may not be enough. Perhaps the solution is for the next President to maintain a light touch on space. Maybe they should speak softly through the budget process, and avoid the Kennedyesque speeches and declarations to Congress that induce the types of partisanship we so dearly need to avoid." "This is one of many reasons I'm glad that The Planetary Society is advocating an orbit-first approach to human exploration. If we keep our filthy meatbag bodies in space and tele-operate sterile robots on the surface, we'll avoid irreversible contamination of Mars -- and obfuscation of the answer to the question of whether we're alone in the solar system -- for a little while longer. Maybe just long enough for robots to taste Martian water or discover Martian life." Keith's note: Here's how it starts. Sow those seeds of subtle doubt. Don't talk too much about humans to Mars or anywhere else. Talk about more robots. Throw shade on anything having to do with humans. Talk about canceling the space station. If you have to talk about humans going to Mars, just restrict them to Mars orbit so they can drive robots on the surface without making things dirty. Look but don't touch. Don't rock the boat. Since that's not worth billions of dollars, maybe just send robots instead. The Planetary Society is engaged in a slow motion effort to halt the human exploration of space. If they don't want humans on Mars, what other places will be off limits? Casey Dreier and other Planetary Society operatives are walking the halls of Congress and quietly sowing seeds of doubt about the wisdom and practicality of sending humans outward from Earth. If Mary Lynne Dittmar and the Coalition for Deep Space Exploration have any viability whatsoever they will publicly confront the Planetary Society with regard to their whisper campaign - one that seeks to prevent humans from traveling to other worlds. But wait: there's more. The Coalition for Deep Space Exploration, a semi-stealth industry lobbying group for the NASA #JourneyToMars effort has an embarrassing lack of a credible budget profile to defend. The Planetary Society, a robot-hugging, human-shunning club, thinks that it will get a non-stop gravy train of huge robotic mission budgets for decades to come. Both efforts are woefully misguided and seriously overdue for a reality check. Perhaps it is best that space policy not become a campaign issue - if for no other reason than the fact that the adherents and beneficiaries thereof are so utterly out of synch with one another and have little, if any, traction with the 300 million plus taxpayers who are stuck paying for this disorganized space program. The other day a billionaire threw a huge sum of money - as a down payment - into a program to begin interstellar exploration - he is clearly looking outward - yet today's space community can't even agree how to get out of low Earth orbit. Tick tock. By Keith Cowing on April 13, 2016 5:56 PM. "At a speech here Tuesday at the annual Space Symposium, [Rep. Bridenstine] unveiled what he called the American Space Renaissance Act, a sprawling piece of legislation that touches on virtually every aspect in space, including national security, NASA and the growing commercial space sector." At a speech here Tuesday at the annual Space Symposium, he unveiled what he called the American Space Renaissance Act, a sprawling piece of legislation that touches on virtually every aspect in space, including national security, NASA and the growing commercial space sector." "NASA is an exceptional agency that has been burdened with constantly shifting and broadening priorities from Congress and the Executive Branch. Congress must provide NASA stability and accountability. NASA must not be a jack-of-all-trades, but committed to a space pioneering doctrine with a purpose to retire risk and commercialize programs. Landing humans on Mars is not possible with NASA's current priorities, strategies, and missions. Mars should be the horizon goal and NASA needs to develop an actionable plan." Keith's note: Nothing called the "American Space Renaissance Act" has actually been introduced as a bill - yet. As for cutting away the things that Rep. Bridenstine does not think NASA should be doing, well, that involves cutting funding, and every one of those things has at least 2 senators and several members of the House who will have something to say about that. Then again we could end up with more things like CASIS. By Keith Cowing on April 12, 2016 8:14 PM. 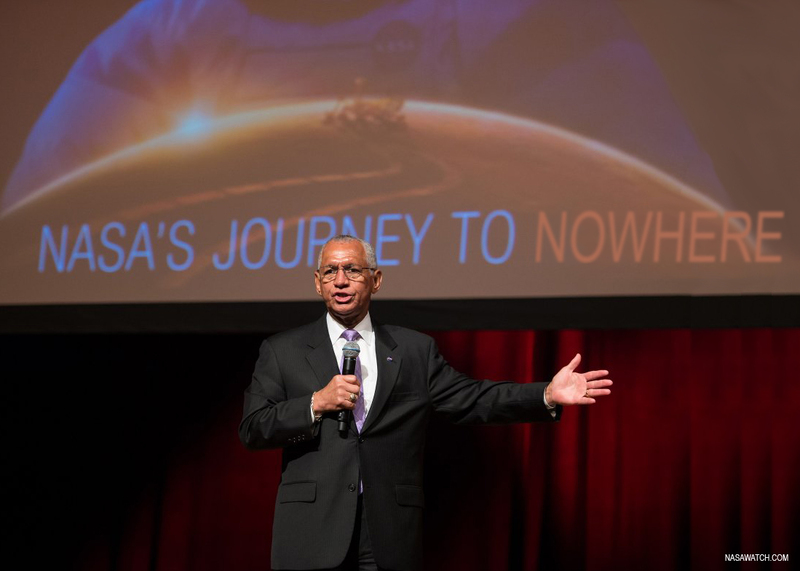 "Bolden hasn't really leveled about two basic truths regarding Mars: it will cost a hell of a lot of money to do it NASA's way, and it's going to take a commitment like the nation hasn't seen since the Apollo program. NASA presently has neither the money nor the commitment from Washington. Many who grasp the challenges of actually going to Mars, including those on the inside, realize this. "I can tell you that my colleagues, at least 90 percent if not more, don't really think we have a good plan," one veteran astronaut, who hopes to fly again and therefore sought anonymity, told Ars. Inside the astronaut office they joke about the Journey to Mars. "I think we've almost done negative work in the last seven years," this flier said." By Keith Cowing on April 12, 2016 12:02 PM. "Plans for Earth's first starships are being announced today in New York City. At a midday press conference, Yuri Milner's Breakthrough Prize Foundation is unveiling its latest project: "Breakthrough Starshot". If Milner's team can pull this off, people alive today could see starships depart from our planet and reach another star system within their lifetime. And everyone will be invited to help make that happen. The plan is simple: create an immensely powerful, system of ground-based lasers and use them to propel tiny starships up to 20% of the speed of light. The starships' first target would be the Alpha Centauri star system 4.3 light years away. These starships would arrive just 20 years after leaving Earth." "Breakthrough Starshot is a $100 million research and engineering program aiming to demonstrate proof of concept for light-propelled nanocrafts. These could fly at 20 percent of light speed and capture images of possible planets and other scientific data in our nearest star system, Alpha Centauri, just over 20 years after their launch. The program will be led by Pete Worden, the former director of NASA AMES Research Center, and advised by a committee of world-class scientists and engineers. The board will consist of Stephen Hawking, Yuri Milner, and Mark Zuckerberg." Keith's note: I asked NASA for a comment on the Breakthrough Starshot announcement. They replied: "In 2015, the NIAC program selected University of California, Santa Barbara Professor Philip Lubin's study on directed energy propulsion for exploring other worlds. NASA is pleased to hear that Professor Lubin has received external funding to continue the work started in his NIAC study. When the study's final report has been cleared for 508 compliance, it will be posted online here. The NASA Innovative Advanced Concepts (NIAC) program focuses research on futuristic but technically credible concepts that could one day "change the possible" in aerospace." I have asked for a copy of this report - I do not need a 508 compliant version. This is a hot topic right now. Talk about a cosmic spinoff. Keith's update: According to NASA: "Professor Lubin actually does a really good job of keeping everyone updated on his own page. His report can be found here." By Keith Cowing on April 12, 2016 10:40 AM. "Made In Space has booked the first six months of that capability, counting among its customers aerospace companies that want to use the 3D printing technology it offers to build subscale satellite structures optimized for microgravity, as well as tools and other objects that may be used in space. Engineering schools have also bought time on the device, and Made In Space plans to use it for its own experiments under a $20 million NASA technology development award. Rush said a typical run in the AMF will cost a customer $10,000-$20,000, with the selling point being a capability to manufacture structures and other objects that don't need to be rugged enough to survive the g-forces and other loads associated with space launch. That could enable "gossamer" spacecraft components that could not be built on the ground. The company will use the AMF capability to develop subscale test structures for the "Archinaut" advanced manufacturing and assembly hardware it is developing for NASA's Space Technology Mission Directorate under a two-year, $20 million "Tipping Point Technology" contract awarded last fall." By Keith Cowing on April 11, 2016 4:43 PM. Keith's note: This weekend the Boston Globe ran a fake newspaper front page from the future as a parody of the Trump campaign. NASA was featured. By Keith Cowing on April 11, 2016 2:03 PM. "It's not clear how long this happy relationship between SpaceX and NASA will last. The company may fly its Falcon Heavy rocket late this year or in 2017, and although it doesn't have quite the payload capacity that NASA's under-development Space Launch System does, it will cost far less to fly. The next president, or some in Congress, may begin asking why NASA is spending billions to develop its own heavy-lift rocket when SpaceX already has one. But on Friday night it was all good. Across NASA's field centers, in cubicles, offices, and coffee rooms, the engineers working on various projects were watching. As one young flight controller from Johnson Space Center told me about her experience, "There were about 20 people crowded around my screen, and we were all going nuts." Elon Musk hasn't forgotten NASA, either. The first thing he did during Friday's news conference was to thank the space agency that had made it all possible." By Keith Cowing on April 11, 2016 10:59 AM. "White House staffers have told reporters Obama wants to leave his successor "a clean barn" without the financial and foreign policy troubles he inherited. Although civil spaceflight has not been a White House priority under Obama, Bolden is trying to emulate the clean-barn pattern at NASA." By Keith Cowing on April 11, 2016 10:28 AM. "Newer companies generally use liquid-fuel rocket technology, considered more cost-effective for certain missions. It only makes financial sense to build a commercial version of a launch vehicle fueled by solid ICBM rocket motors if the US government pays the majority of the cost, argued Richard DalBello, Virgin Galactic vice president for business development and government affairs. "I have heard the argument that anybody could use these [ICBM] assets. But all new, efficient, launch companies have chosen liquid rocket technology over solid technology," said DalBello. "Saying everyone could use these assets is like offering railroads and airlines all the used boxcars they want. The problem is that the airlines are not in the boxcar business." Keith's update: Its funny how one company that was given a brand new spaceport by taxpayers - a spaceport that currently has nothing flying into space - is complaining about the possible use of taxpayer-funded rocket motors by other space companies - motors that taxpayers are paying to store in a warehouse. Space companies should be focusing on flying things into space instead of trying to keep others from doing so. Is India Interested In Participating In The ISS? By Keith Cowing on April 11, 2016 9:38 AM. "From a partner-country perspective, let's take the example of Japan. The annual running costs for the Japanese Experiment Module will be totally around $350-400 million (almost half of ISRO's annual budget). Which means that if India has to participate meaningfully and do some interesting science, ISRO will need an almost 50% hike (to Rs.3,500 crore) in its budget. Although this is one-tenth of the cost of having our own manned space programmes, this is also the cost of having 50 Mars Orbiter Missions a year!" By Keith Cowing on April 10, 2016 11:09 PM. By Keith Cowing on April 10, 2016 10:32 PM. "Zymo Research Corporation is taking epigenetics research to the next level outer space. DNA, that was bisulfite converted using the EZ DNA Methylation-Lightning Kit manufactured by Zymo Research Corporation, will be sent to the International Space Station (ISS), as part of the inaugural "Genes in Space" challenge. The contest invites young scientists to design a DNA experiment that uses PCR to test their scientific hypothesis." Keith's update: This is a really cool project that taps the unique research capabilities of the ISS as well as stimulates students to pursue a career in science. I hope this is just the beginning and that there will be more payloads like this. But there is no mention in this press release of CASIS who underwrites experiments like these to the tune of $7.5 million - or of NASA who pays all of CASIS' bills. It is somewhat odd that CASIS has not made certain that they - and NASA - get some credit for underwriting things like this. By Keith Cowing on April 8, 2016 6:59 PM. By Keith Cowing on April 8, 2016 6:52 PM. Musk "we will be successful when it becomes boring"
Musk says First Stage can be re-used 10-20 times. Refurbishment would allow 100 times. By Keith Cowing on April 8, 2016 5:01 PM. "SpaceX launched a Falcon 9 this afternoon. The rocket's first stage returned from space and landed on an automated drone ship offshore a few minutes later. Meanwhile, the second stage successfully placed a Dragon spacecraft into orbit. SpaceX's Dragon spacecraft is delivering almost 7,000 pounds of cargo, including the Bigelow Expandable Activity Module (BEAM), to the orbital laboratory following its launch on a Falcon 9 rocket at 4:43 p.m. EDT from Space Launch Complex 40 at Cape Canaveral Air Force Station in Florida." @NASAWatch @SpaceX @SpaceRef now I'm slightly worried about the @TeslaMotors automated driving. Does Anyone at CASIS Really Know What CASIS is Doing? By Keith Cowing on April 7, 2016 4:38 PM. Keith's update: At a NASA press conference on Thursday a senior representative from CASIS refused to provide basic cost numbers for the space station payloads it funds. Yet last week another senior CASIS representative volunteered specific ISS payload cost information. Why is CASIS leadership so confused about the basic services that it provides? The press conference was about the science payloads on the upcoming CRS-8 SpaceX flight, Ken Shields, CASIS' Director of Operations (on the right) appeared with 3 employees from Eli Lilly (in lab coats). Shields was asked what the costs associated with the CASIS-sponsored payloads aboard CRS-8 provided by pharmaceutical company Eli Lilly are. Shields declined to provide specifics other than to say that CASIS supports these payloads. When pressed again for a dollar amount, Shields again declined to provide a clear answer as to the cost borne by CASIS or NASA and punted to Lilly who then declined to say how much money they had put into this research. NASA PAO did not inform off-site media in advance that there was a dial-in number for this press event, so I tried using the #askNASA option via Twitter (which of course was ignored). Continue reading Does Anyone at CASIS Really Know What CASIS is Doing?. By Keith Cowing on April 7, 2016 2:05 PM. Keith's update: NASA held a press conference on CRS-8 SpaceX cargo flight. Jason Crusan was talking about the Bigelow Module that is being flown up to the ISS. Don't call it "inflatable". Call it "expandable". This strange insistence by Crusan et al at NASA with regard to BEAM not being an "inflatable" module but rather being an "expandable" module instead is weird since it can only "expand" if it is "inflated" and it is a module that is capable of being inflated ergo it is an "inflatable" module. Then again "NASA" = "Never A Straight Answer". By Keith Cowing on April 7, 2016 10:12 AM. Keith's update: NASA HQ PAO has informed me that my FOIA request for CASIS documents is now being processed. PAO tells me that the "media" status of NASAWatch is not an issue. The NASA FOIA office has initiated the search for what I have requested and will work with me on the details once FOIA at HQ and JSC get a handle on the size of what is found. I'll let you know what I hear back from NASA. I was very specific about the documents I requested - just the NASA/CASIS Cooperative agreement and regular CASIS status reports and NASA responses. Nothing else. Since Sam Scimemi is the CASIS POC at NASA, he'd have all this within easy reach, yes? After all, CASIS is responsible for 50% of the allocation in the U.S. segment of the ISS - so one would reasonably expect that Scimemi and his staff would take these reports very seriously. When I worked at NASA - even back in the day - I had everything organized in folders for projects I managed - either electronically or on paper so that others could find things if I was not in the office. One would think that this is a simple matter of going to Scimemi's desktop computer, electronically copying the files, dragging them into to an email, and then emailing them to me. Yes, I am applying logic here folks - will all the associated assumptions in so doing. Continue reading NASA Refuses To Accept Its Own News Media Accreditation (Update). By Keith Cowing on April 6, 2016 5:46 PM. "To compete effectively in this promising new market domain, our nation needs a 21st Century Commercial Space Competitiveness Strategy to ensure the U.S. is the commercial space leader for the next century. The U.S. will ensure its position as the first-choice provider of space-related goods and services by creating the conditions necessary to compete in the global commercial space marketplace and lead in areas like technology development, workforce training, exports, and innovation. Elements of a 21st Century Commercial Space Competitiveness Strategy." Keith's note: If you read through this AIA document you'll see that this "strategy" calls for the U.S. "to compete effectively" and that our government needs to create "the conditions necessary to compete in the global commercial space marketplace." No kidding. This broad issue has been addressed for years as a result of multiple national space policies, national space transportation policies, and commercial space legislation. Its election time, so the various trade groups start to wave their arms in the air and proclaim that a strategy is needed to avert some dire situation. What is really needed is for people and companies to work within the various polices and legislative frameworks that already exist. But again its election year, so its more important to cite scary problems than to actually work to fix them since, well, doing things is harder than talking about them. Continue reading U.S. Aerospace Trade Groups Are Stuck In The Last Century. By Keith Cowing on April 5, 2016 5:58 PM. "John Grunsfeld will retire from NASA April 30, capping nearly four decades of science and exploration with the agency. 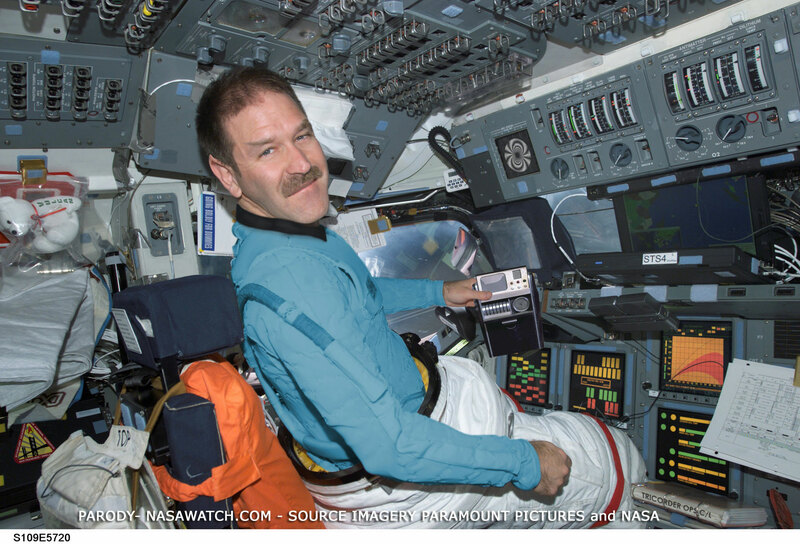 His tenure includes serving as astronaut, chief scientist, and head of NASA's Earth and space science activities. Grunsfeld has directed NASA's Science Mission Directorate as associate administrator since 2012, managing more than 100 science missions -- many of which have produced groundbreaking science, findings and discoveries." Keith's note: Click here you will see a larger version of this image. In it John was "vulcanized" by Star Trek's Mike Okuda when John left his NASA Chief Scientist position. This photo somehow made its way to the National Air and Space Museum where a less-than-observant curator made it part of an exhibit of Hubble hardware returned after a servicing mission. Eventually NASM figured out that John was a Vulcan in this picture (but not in real life) and replaced it. But it took a while. Why Not Use Old Missiles To Launch New Satellites? By Keith Cowing on April 5, 2016 11:39 AM. "Orbital ATK is pressing U.S. lawmakers to end a 20-year ban on using decommissioned intercontinental ballistic missiles (ICBM) for launching commercial satellites and the effort has raised concern among companies that have invested millions of dollars in potential rival rockets. Orbital Vice President Barron Beneski said in an interview on Friday that the company was pushing Washington to get the ban lifted as part of the National Defense Authorization Act that sets defense policy for fiscal 2017, which begins Oct. 1. The missiles were idled by nuclear disarmament treaties between the United States and Russia in the 1990s. Virgin Galactic and other space startups said in interviews last week they worry that lifting the ban would give Orbital an unfair competitive advantage if it was allowed to use surplus government rocket motors in its commercial launch vehicles." Keith's note: I know some companies are going to whine and complain about this. But why not use existing hardware that would otherwise be destroyed or left outside to rot - especially when it has already been paid for and now costs a lot of money to store? Every company that whines and complains has its own swarm of lobbyists trying to seek some advantage for the home team. The only caveat I would offer is that since the U.S. government paid for these rockets that they be offered - at the same cost - to any launch provider that wants to buy them. That not only levels the playing field but offers some of these start-ups a chance to jump ahead in terms of experience and capability. Of course this suggestion would simply change who is whining. "Converting ICBM's to launchers was a bad idea when it was brought up the last three times, and it's an even worse idea now. Two decades of consistent, bipartisan space policy have sparked billions in private investment in a robust domestic commercial space industry. The current Space Transportation Policy, released by the White House in 2013, commits the government to "encouraging ... a viable ... and competitive U.S. commercial space transportation industry" while avoiding actions that might "discourage, or compete with U.S. commercial space transportation companies." Keith's update: Let the whining begin. How much tax money was poured into Spaceport America so as to give Virgin Galactic a dirt cheap place to operate? And then there's the deal XCOR got in Texas, ULA's subsidies, etc. What is ironic about all of this is that Orbital used to complain about this idea when it thought that used ICBMs would allow other companies to compete with Taurus and Pegasus. When it comes to special favors and commercial space, where you stand depends on where you sit (or launch). By Keith Cowing on April 5, 2016 11:17 AM. Keith's note: It is time to examine how NASA and CASIS have interacted since 2011. Little, if anything, has ever been publicly released with regard to how CASIS reports its progress to NASA or how NASA measures or responds to CASIS about their performance. The OIG and GAO have mentioned this matter in prior reports. Last week the NASA Advisory Council spent a lot of time trying (with little success) to figure out what CASIS does. So I just submitted a FOIA request. Keith's update: Despite my voluminous FOIA request, NASA once again does not accept my claim to be news media even though they themselves granted me news media accreditation 16 years ago. See "NASA Refuses To Accept Its Own News Media Accreditation"
Despite their constant harping about the procedures that they have to follow the letter they sent me to deny my request was dated a year ago. So much for their attention to detail. I am requesting the full text of NASA cooperative agreement NNH11CD70A between NASA and CASIS including any revisions, annexes, modifications, or associated contractual amendments made by NASA from the inception of this agreement with CASIS until the date of this FOIA request. I am also requesting all progress and status reports and memos provided by CASIS to NASA from the onset of NASA Cooperative Agreement NNH11CD70A until the date of this FOIA request as well as all correspondence/memos from NASA to CASIS in response to CASIS progress and status reports from the onset of NASA Cooperative Agreement NNH11CD70A until the date of this FOIA request. Continue reading In Search Of A CASIS Report Card. By Keith Cowing on April 4, 2016 4:04 PM. "NASA's infamous "Vomit Comet" zero gravity airplane briefly served as a delivery plane for the Navy and a private company owned by an ex astronaut, which some of the plane's crew members who filed formal complaints felt was a misuse of the craft, according to documents obtained by Motherboard. ... In the first instance, NASA officials pressured the crew to transport a giant wooden engine from Houston to Costa Rica as a favor to a former astronaut, according to two of the crew members. Although the mission was successful, NASA seemed to deliberately avoid publicizing the flight. On another occasion that year, the crew was asked to deliver Navy cargo to Greenland even though members of the crew said the trip was unsafe, resulting in a "near fatal crash," according to documents from a NASA Inspector General investigation. Despite conducting an investigation, the agency says it never reviewed a video that was taken of the incident, and never contacted one of the crew members who was deemed the "principal witness." By Keith Cowing on April 3, 2016 4:58 PM. Keith's note: CASIS (Center for Advancement of Science in Space, Inc.) came to Washington this past week to talk about their management of science and commercial activity aboard the International Space Station National Laboratory. The first stop for CASIS was an event at the National Academy of Sciences on low Earth orbit commerce on Wednesday. The presentation that CASIS gave was their standard Powerpoint chart collection totally lacking in any meaningful information other than what you'd expect to see in a brochure. As it always does, the presentation glossed over some important facts yet contained some outright inaccuracies about funding that CASIS avoided discussing. Since the Academy audience - as well as most of the other audiences that CASIS presents to - was not inclined to ask probing questions, CASIS sailed through their presentation and then sat down. The next day the CASIS entourage, led by President and Executive Director Greg Johnson, showed up at the NASA Advisory Council (NAC) meeting. Things did not go so well for them at the NAC. Within minutes of starting to talk, NAC members started to pepper Johnson with questions- questions that he was unable and/or unwilling to answer. It went downhill from there. The CASIS presentation to the NAC did not provide the basic answers that the NAC membership sought. Committee members repeatedly asked CASIS' Johnson what the CASIS budget was, where it came from, and how much money CASIS had raised. You could hear the growing frustration in the voices of the NAC members the more that CASIS dodged their questions. 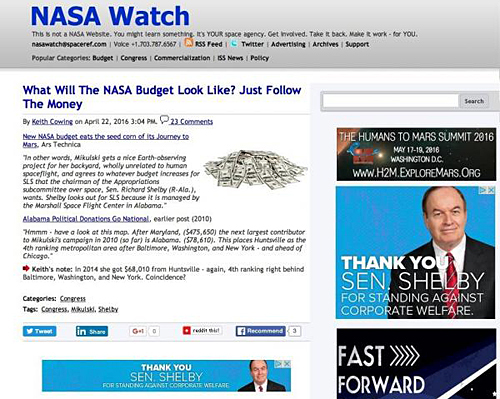 Eventually CASIS' Johnson admitted that their budget was $15 million a year and that it all comes from NASA. When probed about fundraising that they had been so overt about in their presentation charts, Johnson eventually admitted that philanthropy had not worked for CASIS (in other words simply asking for money was not working). Johnson, with help from David Roberts, their lead scientist, then immediately started to crow again about all the money that CASIS had raised. This contradicted their prior statements. Further questioning eventually got Johnson and Roberts to admit that the money that they raised did not go to CASIS but rather, that funds from a sponsoring company went directly to the payload developer (which is not a bad thing). CASIS' repeated refusal to speak clearly on the topic of its income, funding, grants, and operations became problematical for the NAC. When pressed further on their income CASIS said that they were not allowed to generate "revenue" (even though their IRS returns clearly show that they did generate revenue albeit only a little). When the NAC members asked for more details on what CASIS was funding CASIS emphatically stated that they are not a "funding" organization. Moments later CASIS staff showed slides that talked about funding. Continue reading CASIS Had A Bad Week In Washington. By Keith Cowing on April 2, 2016 1:11 PM. "At a cost of more than $150 billion, the International Space Station is the most expensive object ever built. This price tag is more than double the combined costs of China's Three Gorges Dam, Boston's Big Dig and the Chunnel. But as noted by CNN, funding for the International Space Station may run out in the early 2020s." Keith's note: $150 billion? Where did that number come from? The cost reference is a Wikipedia article that cites a 2010 post on some website called "Zidbits" (that says ISS cost $160 billion) and a 2010 SpaceReview article by some french journalist who cites old NASA budget charts and cost estimates from other news stories.The Wikipedia article has separate numbers for ISS construction and shuttle flights that simply do not jive in any mathematical way with what NASA OIG says - they overstate NASA's costs by $50 billion when compared to a more recent NASA OIG report - that's a 33% difference in the overall cost. Continue reading No One Cares What The ISS Really Cost Any More - Including NASA . By Keith Cowing on April 1, 2016 12:01 AM. "Today, NASA Watch, the website that unabashedly critiques the U.S. space agency, turns 20 years old, and its founder Keith Cowing says they'll keep making "fun of NASA given an opportunity to do so." The site is respected (and resented, as Cowing will be the first to admit he is a thorn in many people's sides) by space fanatics, scientists, journalists, and NASA officials." Just to show you how things have changed, this photo should shock a few of you ... (well worth a click) - and no, it is not an April Fool's joke. Today, some up and coming bloggers and digeratti love to throw snark at me just like I threw it at Dan Goldin back in the day. Life is funny like that. Those of you who have followed my 'other' exploits will know that I have had a certain interest in doing online updates from distant and extreme locations (Devon Island, Everest Base Camp, etc.). This website (still online), "The McMurdo Dry Valleys Long-Term Research Project - Life in Extreme Environments; An Antarctic Field Journal", done with my friend Dale Andersen, was one of the very earliest websites actually updated from Antarctica. People have been asking me to look back on things and pick the events that are most memorable. After all I have spent 1/3 of my life running this thing. I have been given many chances to do things because of my peculiar notoriety. This shaky video, done live with my friend Miles O'Brien - about our mutual friend Scott Parazynski - while this picture was being taken - is the one singular moment where it all came together. Thanks to all of you for stopping by for the past 20 years. This page is an archive of entries from April 2016 listed from newest to oldest.